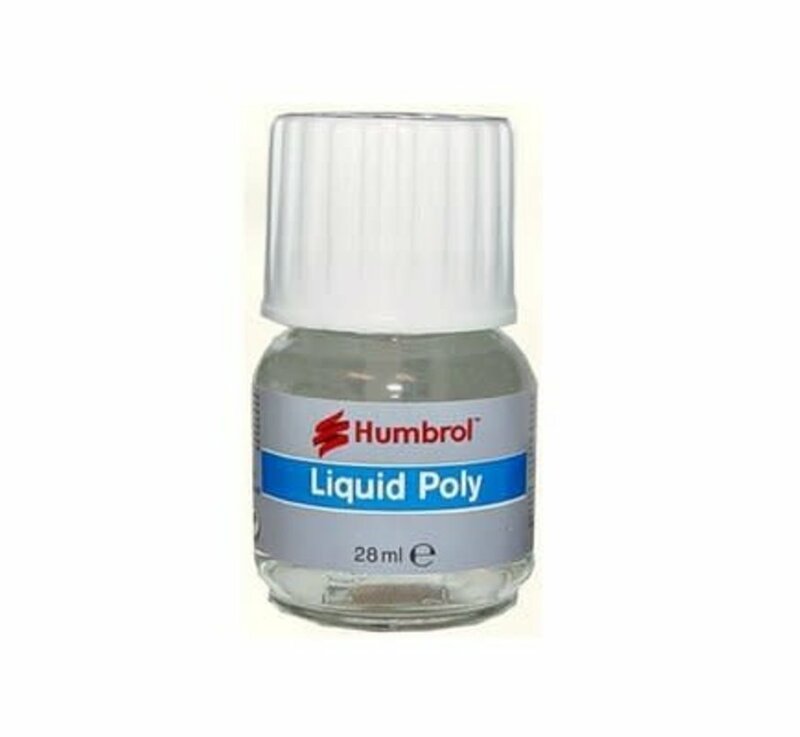 A solvent based-based cement suitable for plastic model kits only. The product is a low viscosity version Polycement to enable application by brush. Common plastics used to manufacturer model kits including polystrene and ABS. The product works by melting the plastic on application and 'welding' two glued pieces of plastic together to form a strong bond. Directly onto plastic model kits; an integral brush is supplied. A cocktail stick can be useful to apply sparingly to extremely small areas or very fine details. Surface dry in 10-20 mins. Fully dry 1 hour. Can be removed if not fully dry by re-dissolving with Humbrol Liquid Poly or precision poly. Product is permanent once dry.